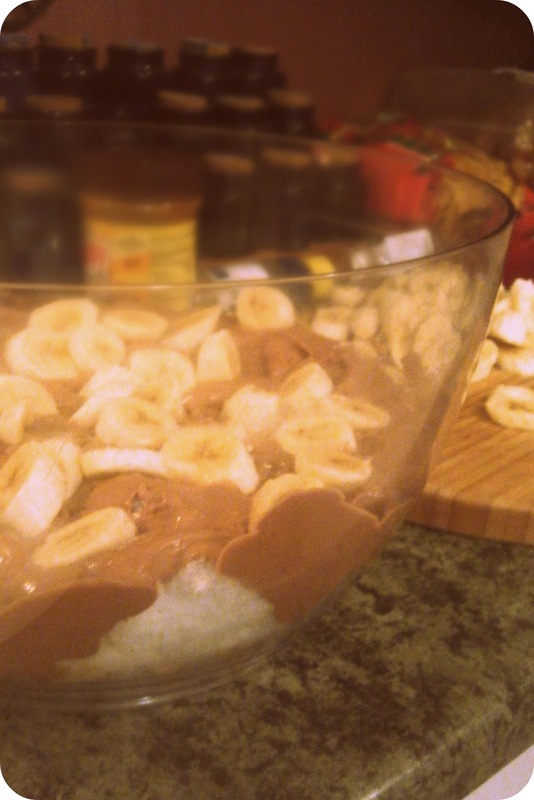 I made this Nutella Mousse Banana Trifle for a work bbq this week. People called to me from across the tables how "Amazing" this was. Phrases like "Dear Lord." and "Oh my!" were heard from everyone. More than one person asked me how I made it. Luckily for all of you I took pictures as I did (and the best part - it's a semi-homemade NO BAKE dessert)! 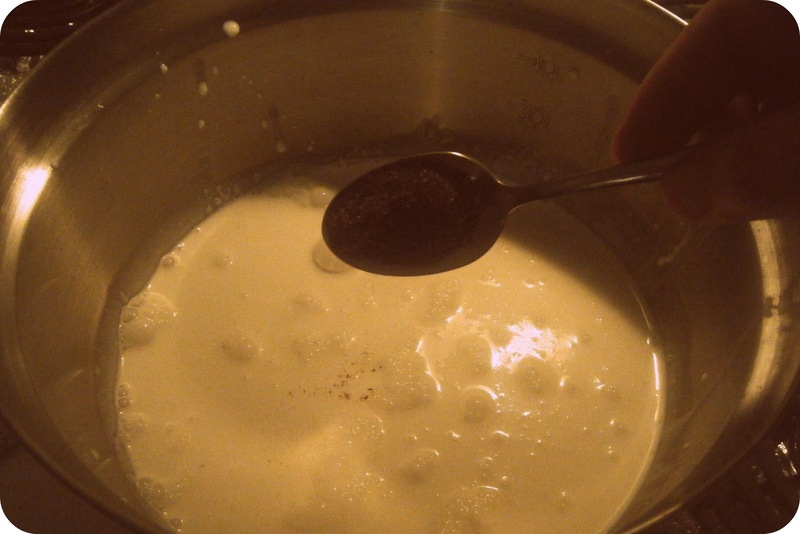 Lightly stir the instant coffee powder into the heavy whipping cream (if you do this in a metal bowl the entire mix will stay cold longer). 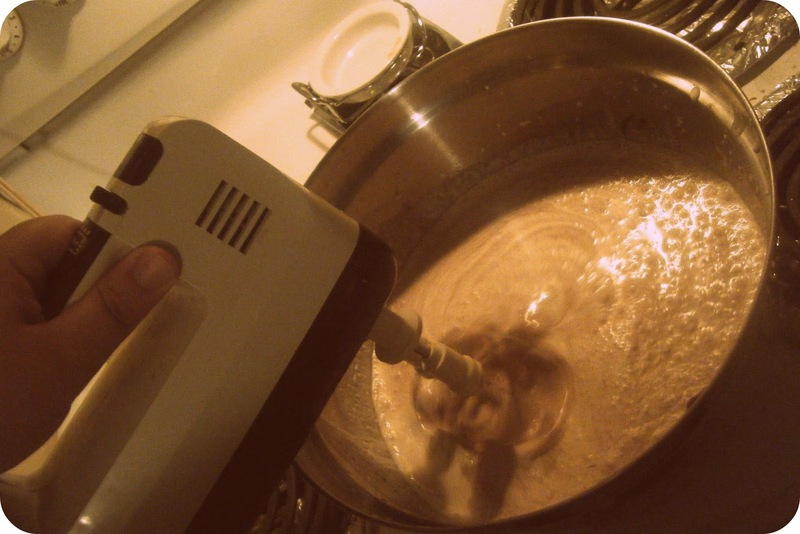 Add the Nutella into the cream and using an electric whisk blend until you have soft peaks. Divide into individual containers and then let chill to set. 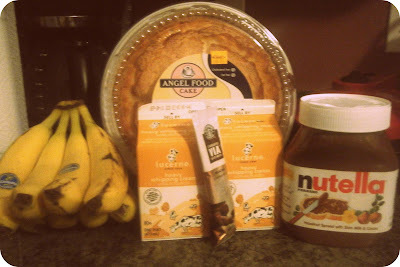 This is the original recipe that serves four - I quadrupled the recipe and layered 8 sliced bananas and two store bought angel food cakes to help make it go further. What exactly do you mean you layered it over bananas and angel food cake. Just in a bowl, mixed together, served with a spoon? 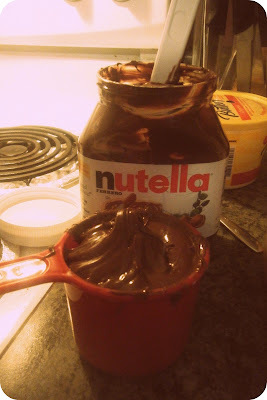 I love anything nutella so I'm anxious to try this one! 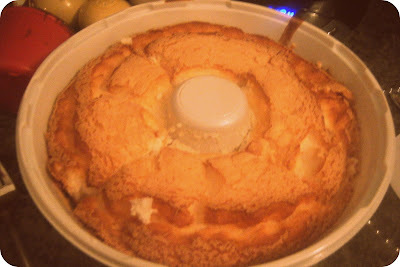 So I tore apart and "crumbled" 1 store bought angel food cake into the bottom of a big bowl (I used my salad spinner actually). 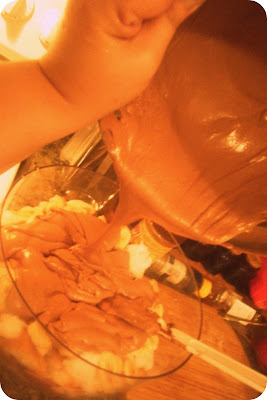 Then 1/2 of the Nutella mousse. Then sliced 4 bananas and put on top of the mousse. 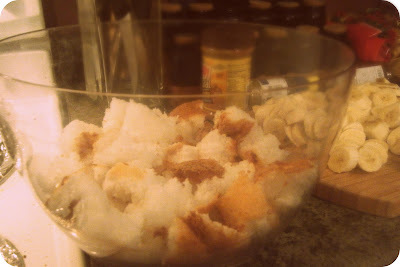 Then tore apart the 2nd angel food cake and put in the bowl. 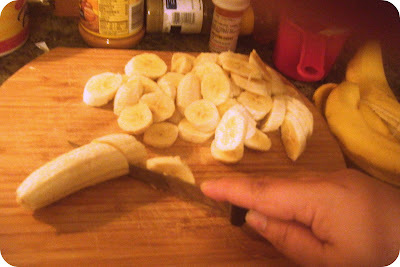 Then another 4 sliced bananas on top of the cake. 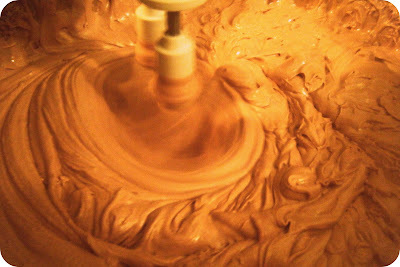 Then the remaining mousse. Served it with a large spoon is exactly what I did.